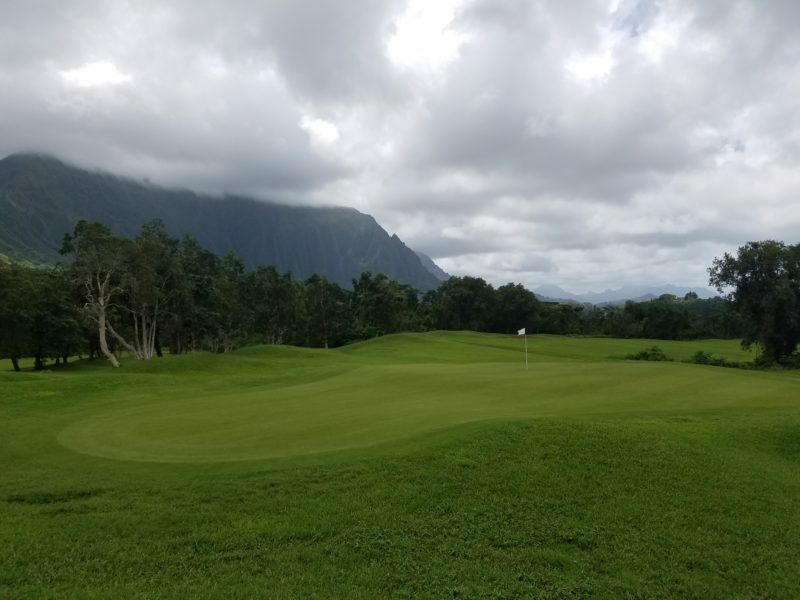 The Koolau Golf Club offers much more than a round of golf. Nestled at the base of the Koolau Mountains in Kaneohe, it is home to amazing views, a nearby waterfall, and the fragrances and birdsong of the tropical rainforest. Koolau also challenges golfers with six “forced-carry” ravines that will test the patience of even the longest hitters. Located hundreds of feet below the famous Pali Lookout, Koolau is a favorite course of former president and Oahu resident Barack Obama. The clubhouse offers inexpensive snacks and beverages at the turn after the 9th Hole. Koolau Golf Club offers a variety of visitor packages, including a seven-day unlimited golf package. Top-of-the-line club rentals are available, as are shoes and range-finders. Koolau is also a sacred area. When Kamehameha the Great sealed his unification of the Hawaiian Kingdom at the decisive Battle of Nuuanu, vanquished chiefs and their warriors hurled themselves over the cliffs of the Pali rather than face the spears and cannons of the victors. The spirits of those warriors are said to wander the forests around Koolau. More than 800 skulls were recovered from the area during the construction of the Pali Highway. In the parking lot at Koolau Golf Club is the trail head for Likeke Falls. The short, 15-minute hike to the waterfall is suitable for even novice hikers. The journey rewards takers with a refreshing dip in the pond at the base of the waterfall. It’s fed by natural springs within the Koolau Mountain Range. The mountains filter rainwater as it percolates down into the underground aquifer, which supplies drinking water to Windward Oahu. After a round of golf or a hike to Likeke Falls (or both), visitors can enjoy lunch at Honey’s at Koolau. It’s a charming restaurant named for the mother of legendary Hawaii entertainer Don Ho, who opened the original Honey’s in Windward Oahu in 1939. It offers breakfast and lunch menus featuring local favorites like Char Siu Pork Ramen and a Teriyaki Steak Plate. Honey’s features authentic Hawaiian music Friday, Saturday, and Sunday evenings. 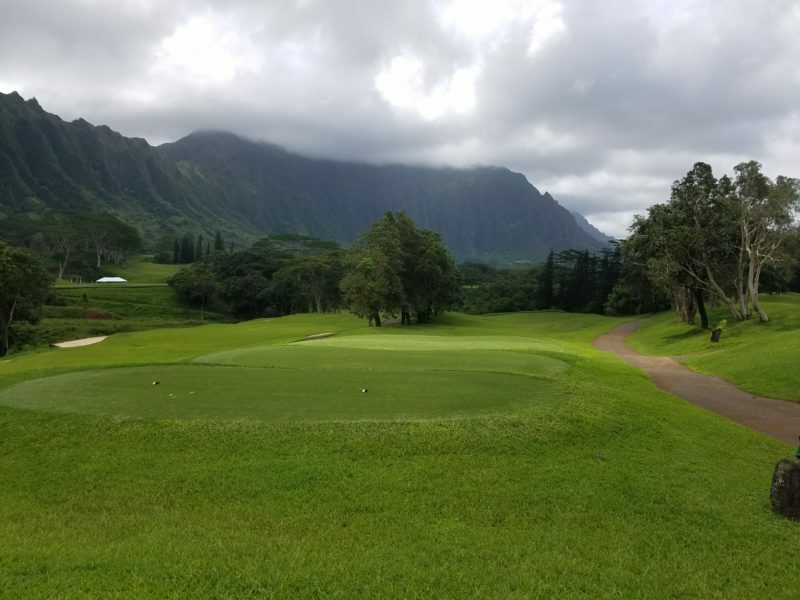 Whether it’s the golf, Likeke Falls, Honey’s at Koolau, or all three, it’s easy to make a full day out of a trip to the grounds of the Koolau Golf Club.